You'd rather be exploring the outdoors than feeling trapped indoors. These Reebok All Terrain Men's RB4093 Black ESD Steel Toe Oxfords feel similarly because they're designed for harsh outdoor environments. 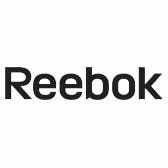 The Reebok men's oxfords are designed to withstand the haz ... (see full details) (see specifications) #RB4093. You'd rather be exploring the outdoors than feeling trapped indoors. These Reebok All Terrain Men's RB4093 Black ESD Steel Toe Oxfords feel similarly because they're designed for harsh outdoor environments. The Reebok men's oxfords are designed to withstand the hazards of nature while keeping your feet comfortable for an overall better outside experience. It's important that you're protected when you're in the wilderness. These men's black shoes are constructed with steel safety toe caps, slip-resistant outsoles, and static dissipative dual resistors. The steel toes meet requirements for the safety standard ASTM F2413-11 I/75 C/75 SD, which means they pass the test set by the standard to protect you from drop impact and compression. In addition, the outsoles help the steel toes achieve the standard because they're built with static dissipative dual resistors. The outsoles are also made with strategically located aggressive lugs that provide excellent traction and superior slip resistance. In fact, they're so slip-resistant that they receive the rating mark II low contaminant SR rating oily/wet .40. These men's All Terrain shoes are perfect for walking trails and hiking because they're constructed to bring your active feet superior comfort. The interior is made with MemoryTech footbeds that excel at leaving your feet rejuvenated, and the footbeds offer you immediate cushion as your feet flex and move. The cushion rises and falls to meet the natural contours of your feet, creating a custom fit. The exterior of these men's steel toe shoes is similar to the interior in terms of comfort. The uppers are designed with Ripstop fabric that gives the black ESD shoes a seamless, close fit to your feet. It gives your men's black shoes a comfortable, natural feel. It will feel as if you're one step closer to being one with nature. In addition to the comfort, the outside has to offer, these men's safety toe shoes are durable. The Ripstop uppers are as the name implies: it resists rips and tears. You’ll appreciate their strength when the harshness of the environment doesn't break them down. Similarly, the outsoles beneath the uppers are strong. They're made from rubber, which makes these men's trail running shoes ideal for wearing outdoors. Before you start your next outside adventure, make sure you have these Reebok All Terrain Men's RB4093 Black ESD Steel Toe Oxfords. They're specially designed for your trail-hiking, rock-climbing feet. So, don’t waste a moment more. Order them today here at Working Person’s Store. The boots that I purchased are great. I like the selection your company offers and I will be making more purchases in the future. I also am turning on the few workers that I have to your company. I am a small business but I will tell you that you now have a permanent customer. Reebok Shoes: All Terrain Men's RB4093 Black ESD Steel Toe Oxfords is being added to your cart.